Today I have been wearing my Poppy with pride. 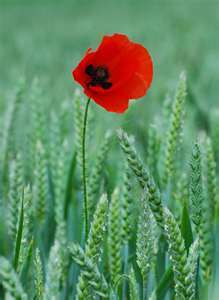 I have been thinking a lot today about those fighting and those who have fought in war for us. Thinking of their families, for the lives lost, for the scars both physical and mental. I have a lot to be grateful for. One man in particular I have thought of on numerous occasions so far today is Harry Patch, the last fighting Tommy. I read his autobiography earlier this year, such a great and moving book, I would highly recommend it. It surprised me as it is not the type of book I would usually go for but after buying it for James and seeing him read it so quickly, then seeing a programme on the telly about Harry I had to pick it up, I then discovered why James struggled to put it down. Such a wonderful and truly lovely man who did his country proud. 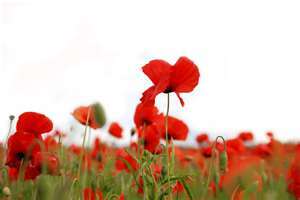 On this day I will remember them. Gorgeous post. Bless Harry Patch. He was always such a sweet looking man. Take care and have a lush weekend. sorry i've not been in touch about meeting up, life is hectic as usual but i will be in touch soon!!! I remember his death as my hubby was in Afghanistan at the time. Remember too the families left behind, the children who will never know their parents but as a photograph. The parents who buried their sons and daughters thinking how roles were reversed.